Bags are reliable and necessary companions for each and every day! Whatever you are doing: you always have something on you and you need a place to store it. On the way to the office, at the airport, while walking your dog or heading to baker's around the corner: We need bags to hold our laptop, travel items, treats or fresh whole grain bread rolls. No one likes to carry everything in their hands. 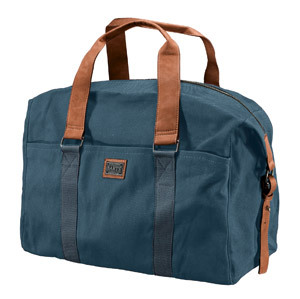 Since there are bags for every purpose and in every conceivable size, from the shoulder bag for your wallet to the duffel bag for bulky gear and clothing on tours, this overview aims to help shine some light into the bag jungle. Small bags are made to be hung or buckled on and hold all the required accessories for daily use or smaller tours. Carrier bags, safety bags or even shoulder bags belong to this group. These are mostly made of treated nylon fabric that will protect the contents from a light shower. Stylish models of small bags are also sometimes made of cotton or linen. They usually have a volume of between one and eight liters. Slightly bigger bags offer enough space for a notebook PC and some provisions, so you can use them while commuting or on shorter hikes. With a volume of 10 to 15 liters and use of long lasting synthetic fiber (sometime recycled), you can hold the needful in it every day. Larger bags of up to 20 liters in volume are mostly used by businesspeople and usually hold documents and larger laptops. That is why the cut is rather rectangular. Anything beyond that is no longer a classic shoulder bag, but a transport bag that one can often shoulder like a travel backpack. 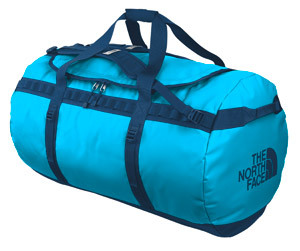 Depending on its weight, a bag with a volume between 30 and 120 liters is used to transport light clothing or hold bulky hardware for your climbing trip (so called duffel bags). While buying a bag, particular attention should be paid to the interior with special compartments like laptop compartment, safety compartment or key carabiner. That simplifies the daily fiddling with the bag. The construction and the locking and carrying mechanism of the bag are also important. A flat shoulder bag with a belly strap is practical for cycling, and a lumbar pack for hiking!